A tornado that swept through Taranaki town Rahotū has lifted roofs off houses, broken garage doors open and damaged the local shop, with power cut to much of the town. Police said the tornado went through the town, near Ōpunake southwest of New Plymouth, about 7am. 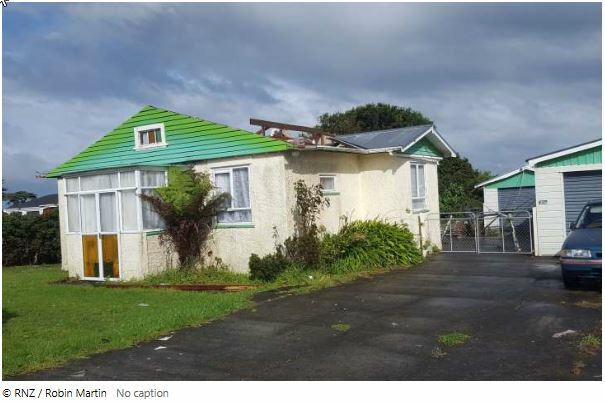 Taranaki Civil Defence said eight homes were damaged by the tornadoes with three homes severely damaged. The morning’s stormy conditions cut power for to at least 12,000 homes in the region. Civil Defence warned the peak of the storm was expected to be about 3pm. Rahotū resident Jasmine Care said the family lost their roof in the tornado. She said there had been “a pretty awesome electrical storm” from about 5am that never let up, and an hour and a half later she and her children saw the tornado approaching and ran to a safe space in their house. “We’re lucky, there are people who have lost their homes. 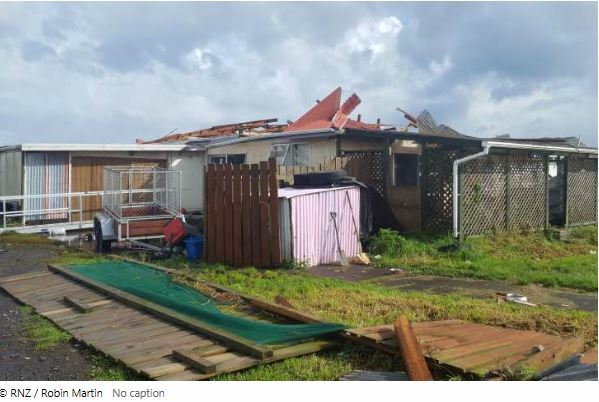 Aside from the house, which is almost completely blown over, there’s other houses where all the windows have blown out and power poles across the road.” she said. Carol Deegan works at the town’s Four Square and said residents had told her that houses had been smashed, and the power was out as a result of the tornado. “As I was coming in, because I live in Ōpunake, I definitely saw garages, the doors broken off and debris over the road,” she said.